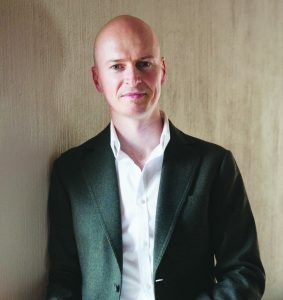 SJ Naudé grew up in South Africa, where he studied law. After practising law in New York and London for many years, he returned to South Africa for a master’s degree in creative writing. 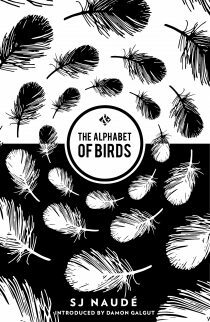 The Afrikaans edition of The Alphabet of Birds has won several prizes including the University of Johannesburg Debut Prize and a South African Literary Award. He was awarded the 2014 Jan Rabie & Marjorie Wallace Writing Scholarship, the largest award for creative writing in South Africa. 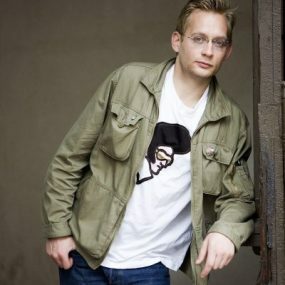 Naudé currently lives in Cape Town. Read more about The Alphabet of Birds in the book section. SJ Naude was interviewed by Nancy Richards on the The Literary Show on Sundays on SAFM (South Africa) during which they discussed the And Other Stories edition of The Alphabet of Birds (in first 18 mins). SJ Naudé writes for PEN Atlas here on the experience of translating yourself and in Asymptote Journal he reflects on the odd literary status of Afrikaans and talks about Afrikaans literature today – read it here. S.J. Naudé reads from The Alphabet of Birds and discusses the Afrikaans language amongst young South Africans in the new South Africa in the excellent BBC Radio 4 series ‘Writing a New South Africa’ (at 18:38) http://www.bbc.co.uk/programmes/b0542zv2.